Dr. Inderpaul Singh Sehgal was born and educated in Delhi (India). He completed his medical school (M.B.B.S) in 2002 from Bangalore Medical College and joined the Residency Program in Internal Medicine at Postgraduate Institute of Medical Sciences, Rohtak in 2006. He has also procured Diplomate in National Board in internal medicine in 2009. 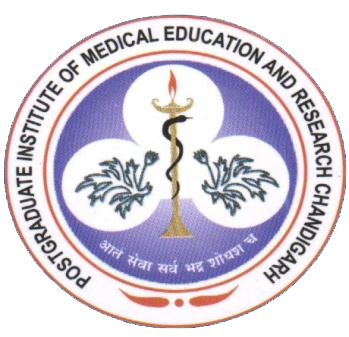 Subsequently, he completed his Fellowship in Pulmonary and Critical Care Medicine from the Postgraduate Institute of Medical Education and Research, Chandigarh in 2014. 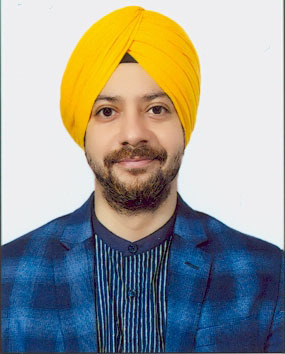 He is currently working as Assistant Professor in the Department of Pulmonary Medicine at the Postgraduate Institute of Medical Education and Research, Chandigarh, India. His primary research area is chronic pulmonary aspergillosis, acute respiratory distress syndrome, invasive and non-invasive mechanical ventilation, and sepsis. He also maintains a keen interest in interventional pulmonology. Dr. Sehgal has more than 140 publications to his credit. He has written several chapters in national books. Specialties: Chronic pulmonary aspergillosis, ARDS, mechanical ventilation, interventional pulmonology, sepsis, meta-analysis. Awarded the First prize in Dr. M. Vishwanathan Poster session for presenting “Profile of patients of venous thrombosis in Medical wards” at APICON, February 2009. Awarded the Certificate of Appreciation for dedicated services on Republic Day, 2010 by Pandit Bhagwat Dayal Sharma University of Health Sciences, Rohtak. PGI Research Excellence for presenting a high-quality published research work on 5th Annual Research Day of PGIMER, Chandigarh, on 7th October 2017. Awarded Lung India award for best original article published in Lung India at NAPCON 2017, Kolkata. Awarded the Certificate of Appreciation for taking special efforts to reduce hospital acquired infections on World hand hygiene day, on 5th May 2018, in PGIMER, Chandigarh. PGI Research Excellence for presenting a high-quality published research work on 6th Annual Research Day of PGIMER, Chandigarh, on 6th October 2018. Kindly note that OPD appointments cannot be booked through email. We also express our inability to offer medical advice via email. 4th Floor, F- Block, Nehru Hospital, PGIMER.